Offline inspiration – can it be done? Posted on March 30, 2016 by F.H. This post may seem contrary to the title of this blog,but it’s ok. Life goes on. When Christmas shopping in November, I bought a copy of this book for my friend. 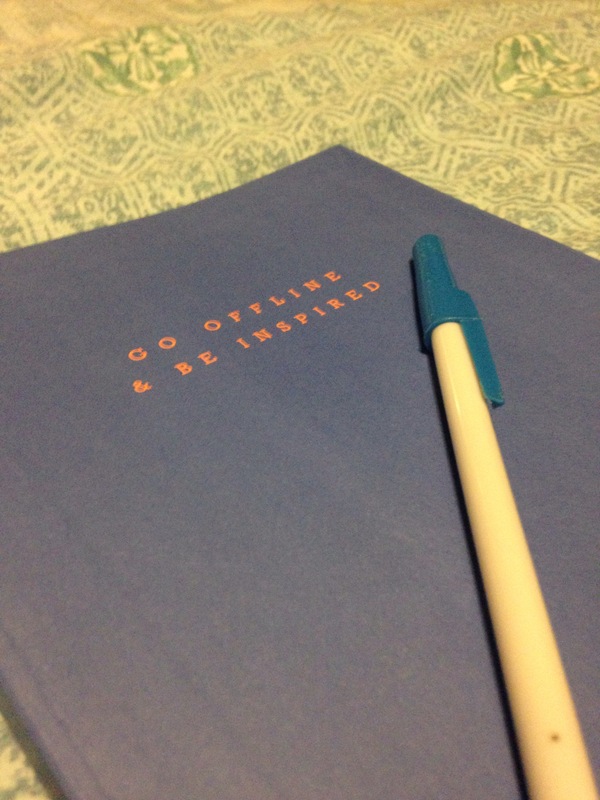 It’s as simple as the title suggests – go offline and be inspired. It features 135 ideas to inspire you to go offline and experience the world around you. It also has a book cover which doubled as a 30-day challenge poster. The idea is that you do it to completing a set activity each day for a month.